In the book of Revelation seven trumpets were used to warn about a different aspect of the earth's judgment and destruction during the process of occurrence. This image represents the seventh trumpet described in Revelation 11:15-19. 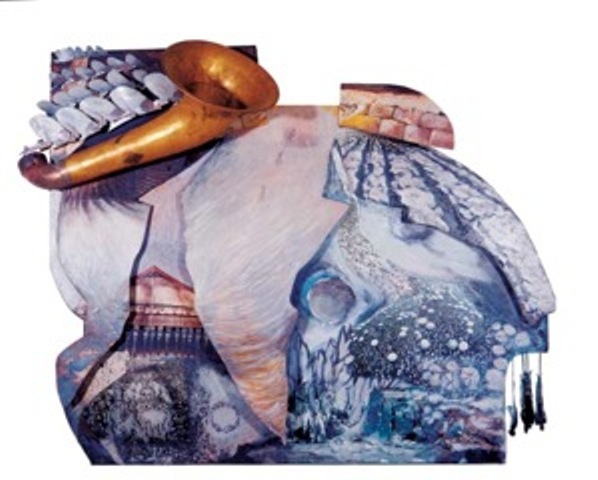 This is also the seventh trumpet presented in Devi's art ebook Seven Sevens: The Seven Trumpets, which posesses all 7 trumpets presented in the book of Revelation along with scripture references and her personal ideas behind each art piece to augment your imagination for a deeper meaning to what you are seeing.